(SPOT.ph) Lest we forget, there’s more than one singer in the Cyrus family. 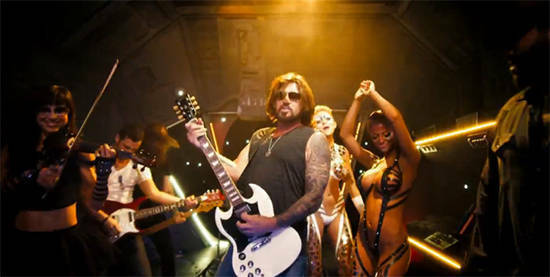 Yes, we all know Billy Ray Cyrus was the man behind one of the most "awesomely bad songs" ever and with nothing to do in his spare time, he pens a sequel to "Achy Breaky Heart." Something like this could only have been done out of boredom. This is probably Billy Ray’s way of keeping busy now that his little girl is all grown up (and perpetually without pants). In this video, you’ll see women wearing what looks like electrical tape, some guy rapping, Billy Ray playing the guitar, and watch out for someone hollering, "Wrecking Ball!" Say what you will about this family but it sure seems like they’re having a lot of fun.